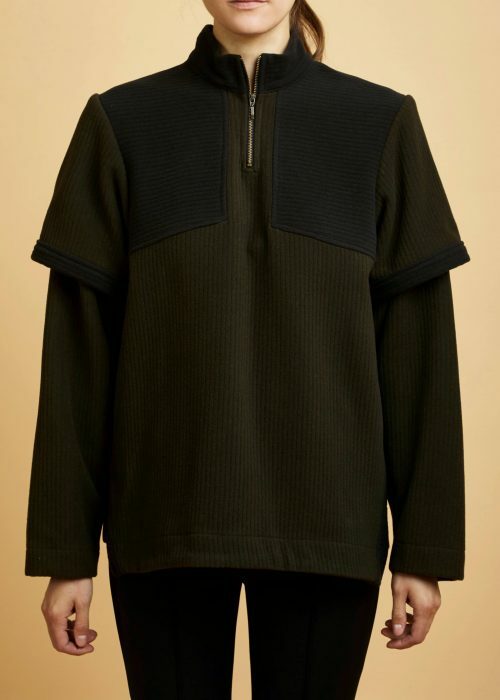 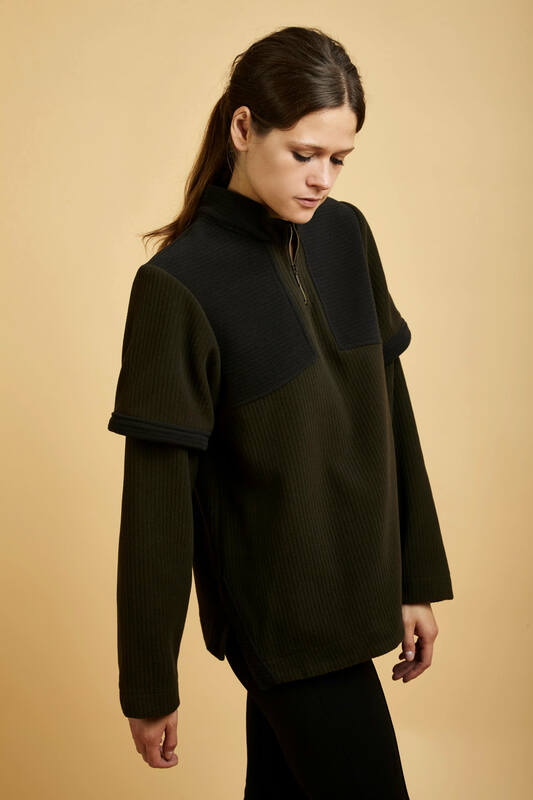 Parisian brand Julyen Carcy embodies the “cousual” style, bringing couture craftsmanship to casual pieces, as illustrated by this streetwear inspired virgin wool sweater. 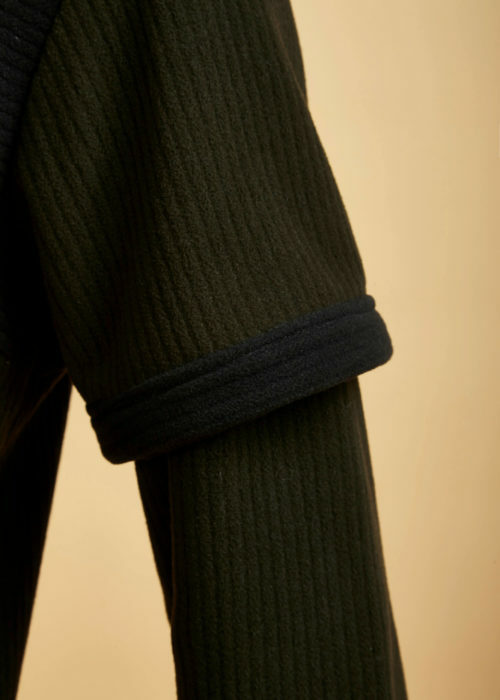 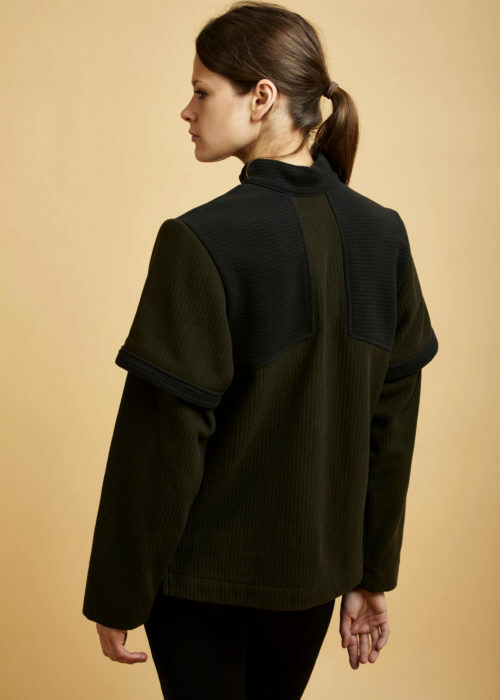 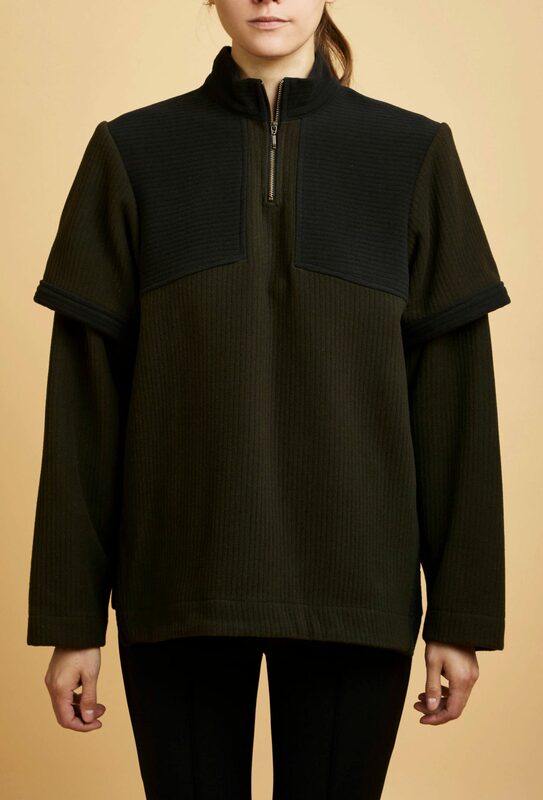 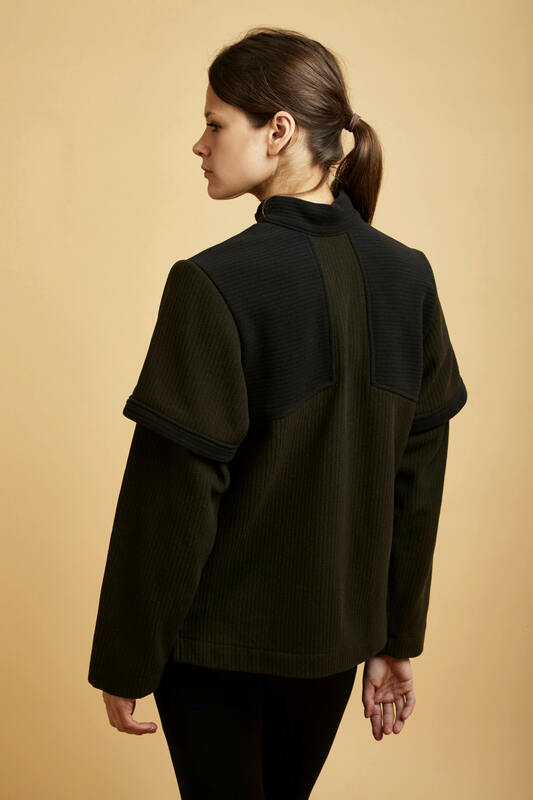 Locally crafted in a small family-owned atelier, the Tagh is a two-tone soft and warm sweater that will lend a military look to your outfit. 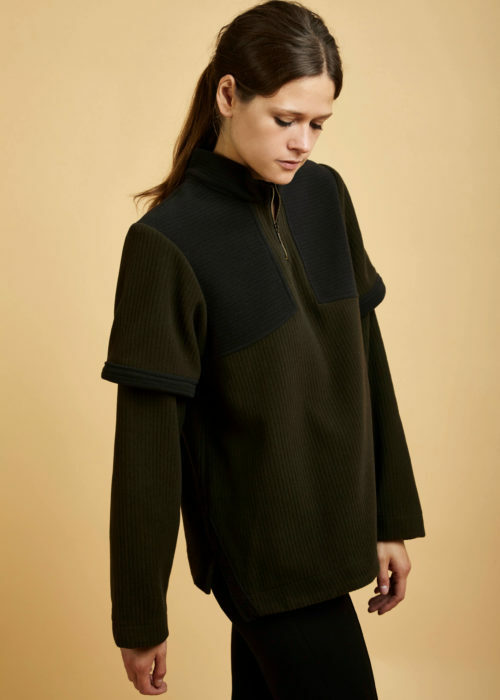 Features a front zipped collar, double sleeves. 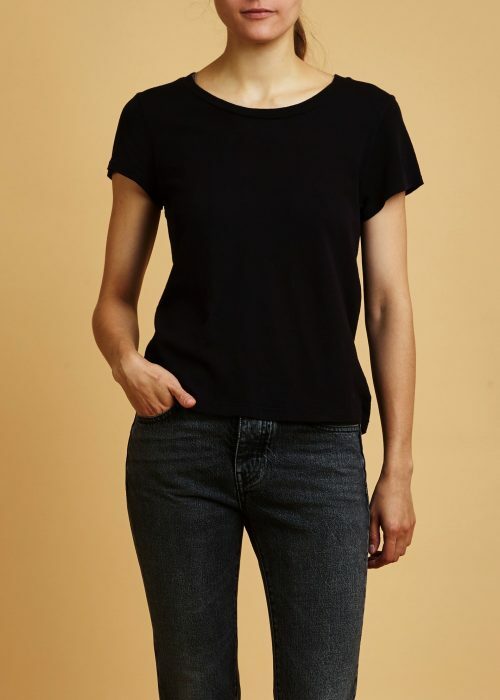 All Julyen Carcy clothing is locally made and sourced in France. 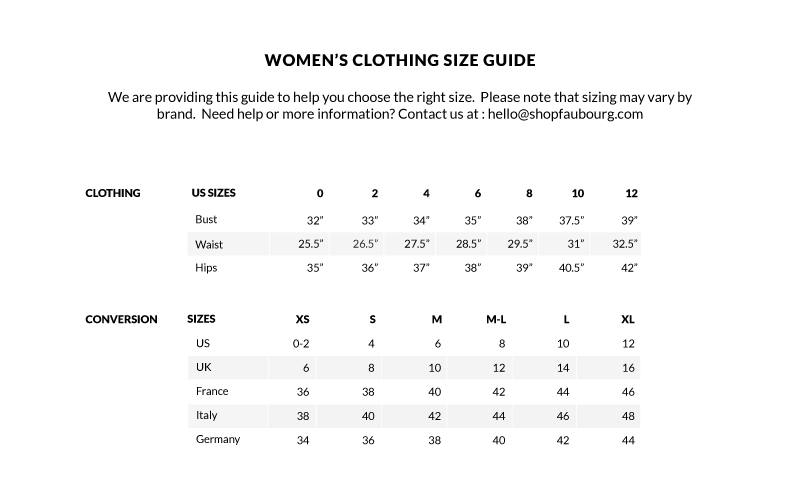 Model is 5’11 and wearing a size 36. 100% virgin wool Locally made and sourced in France.